In a time period referred to as the “digital age” it’s hard to imagine that an analog format such as the audio cassette is thriving, yet the market for the audio cassette is as strong as it has been since the ’70s. It’s no doubt that audio cassettes had their golden age in the late-1970s and into the early 1980s, shortly after the vinyl record had run its course, but the aughts have seen what could be considered a renaissance for the vinyl record and audio cassette. A company that has contributed greatly to this resurgence is the National Audio Co., based in Springfield, Missouri. 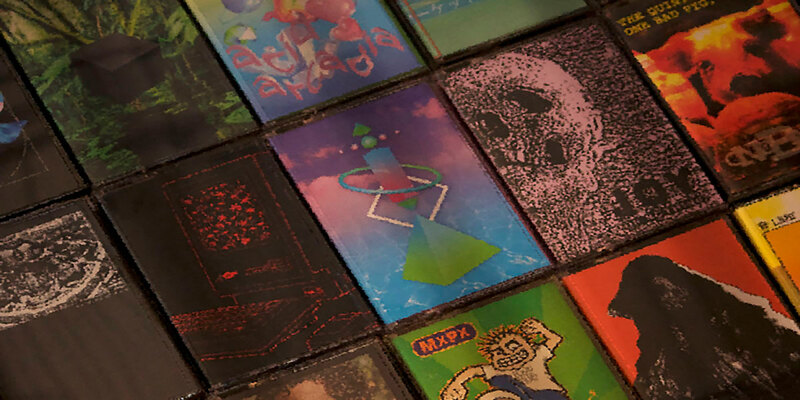 This company produces a multitude of audio formats and their packaging, with a specialization in the fields of blank and recorded audio cassettes. “Even though the CDs pretty much drove the music cassette out of the market back in the 1990s, about 2005 we started seeing a return, and now audio cassettes for commercial music are growing at the rate of about 20 percent a year, with a big acceleration in 2009,” Steve Stepp, president and co-owner of the National Audio Co., said in a phone interview. A significant contribution to that growth was the release of the 2014 film, “Guardians of the Galaxy,” Stepp said, because of its usage of the audio cassette along with other ’70s iconography. “We continue to sell, ‘Guardians of the Galaxy’ No.1 to Disney, even now, several years after the movie release. It’s a rare day they order fewer than 5,000 of those, generally 5,000 to 20,000 cassettes per release,” said Stepp. Along with Disney, Stepp said the National Audio Co. also manufactures audio cassettes for Capital Records, Sony and various independent record labels. According to Stepp, Independent artists and record labels are among the biggest markets for audio cassettes. From DIY punk bands in the Midwest to underground electronic dance music on the West Coast, unique genres of music all around the world are being released on cassette every day. While companies like Disney and Sony frequently purchase and distribute audio cassettes for novelty sake, companies like Gulf Audio Co. release cassettes as part of a larger community made up of like-minded individuals. One of these like-minded individuals, Wesley Nas, a sophomore who attends Meramec Community College, offered insight about the culture that surrounds cassettes. “Cassettes become a group or culture when you can get together and swap cassettes, or discuss cassettes, or angrily tweet at each other about cassettes. These plastic rectangles are bringing people together,” Nas said. While it’s readily apparent that many collectors and distributors alike are passionate about the culture that surrounds audio cassettes, it’s still a relatively untapped market. “The niche market for the under-35 age group has been what truly drove the return of the audio cassette,” said Stepp, whose company sold 18 million cassette tapes in 2017. These demographics highlight the fact that the appeal of analog audio formats is not lost on young people and if current trends in cassette sales are any indication of the medium’s future, cassettes are likely to continue growing in popularity and reaching new audiences. “The audio cassette has been around since the 1960s and next to the vinyl record, it is the longest-lived medium on the commercial market, and incidentally those are the only two currently growing,” said Stepp, confirming that the format is alive, well and here to stay.